As of July 1st the trail network at Hardy Rd. has been officially completed. With just over seven miles of trail completed the project, which has been a collaboration between the Department of Environmental Conservation and a local advocacy group called the Barkeater Trails Alliance is a major success. Trail users of all different types enjoy the trail system on both the East and West Sides of Hardy Road. On official maps the area is referred ot as the Beaver Brook Tract, but locals simply call it "Hardy Rd." The area is an absolute dream come true for off-road cyclists. The sandy soil dries out quickly after it rains, and is typically the first terrain to be ridable after our long winter. Furthermore, nobby tires roll smooth as silk over the serpentine trails built by the hands of local volunteers. From the center of WIlmington you can get to the trail network by heading down Springfield Rd. and making a left onto Hardy Road. There is great riding on either side of the road. 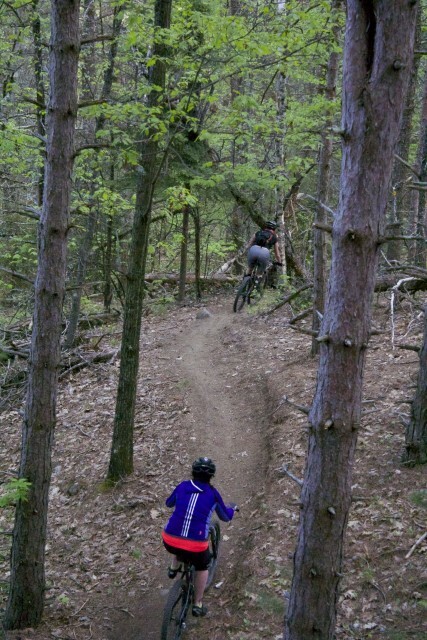 Less difficult riding can be found on trails named "Coniferous" "Make Believe" and "Twisted Pine." 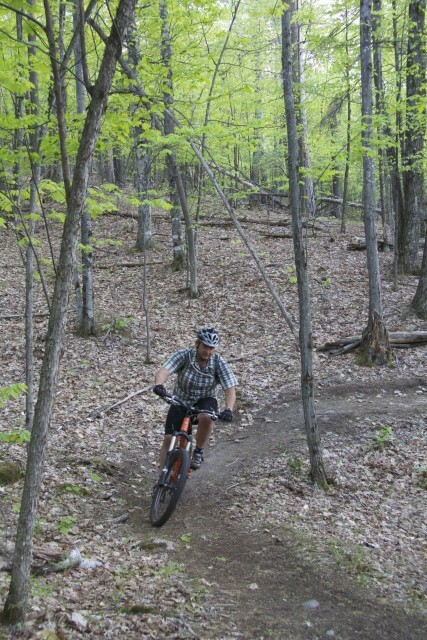 These trails wind their way around the lower elvations. They can be ridden in either direction, and multiple laps are encouraged. For longer rides and more elevation chack out "All-in," Safe Bet," and "Good-Luck." These trails gain the most elevation, have rocky, technical elements, and are at tiems very steep. The newest trail, "All-In" was completed as part of the most recent "National Trails Day" event, and is the longest climb in the network. The view, and the fast, flowing trip down is worth the trip to the summit. 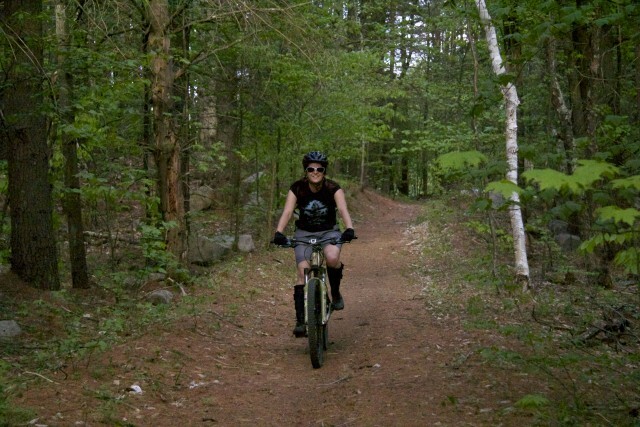 There is a map of the trails available for free from the Department of Enviornmental Conservtion or riders can purchase a Mountain Bike specific map from the bicycle shops in Lake Placid.